The Global Dance Project (GDP) is an Mpowerdance virtual choreographic work to activate our dance consciousness and performance, generating a healing stream of dance as life force within ourselves, our classrooms, our communities, and within our earth's atmosphere. The Global Dance Project supports the creativity of dancers, performers, choreographers, all artists, musicians, painters, actors, teachers. The GDP unites and empowers the world in dance with balanced awareness, alignment and healing via access to the world wide web. Conception of the GDP was inspired by Bhutan's Global Happiness Index and the Harmonic Convergence of 1987. In this vein, GDP also plays off of the acronym for "gross domestic product", increasing it to "global dance project". The GDP studies the question that cannot be answered in words: What is dance? We are here to learn the language of dance. We are here to inspire a dance as an alignment with sanity. Annually, Mpowerdance releases a poetic framework, a kind of dance riddle, or concepts for dance meditations, that inspires choreographic-flow and thought process required to produce a new dance. The Global Dance Project encourages interpretations through all styles of dance across boundaries of age, economics, time and space. The primary requirement is to make a safe space, then work out the moves. If access is available, film the dance (iPhone or pro). Soon, this site will expand to include your participation, whether local or global, enabling uploads of your interpretations and performances. Then we will host a GDP dance film festival, and invite or visit to collaborate with a live performance. Dance is dancing our world moment by moment, movement is life. We are here. We are ready. We create dance now. Dance swallows the sword of the world as it takes back the Dance from the land of "NO", bringing Dance back to the power of "NOW". The GDP is art. A gesture of acknowledgement is greatly admired. Send us an email, link to our site, or include us in your credits. 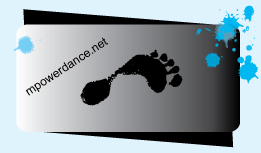 The Global Dance Project has trademark pending.